Stopping the use of explosive weapons with wide area effects in populated areas is a humanitarian priority. 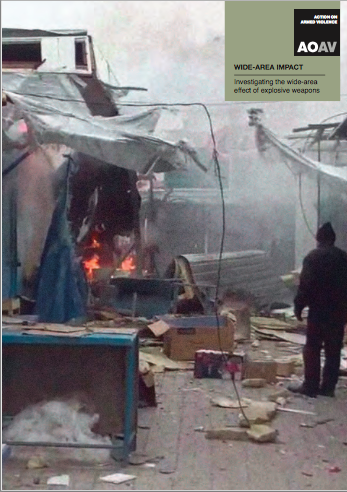 INEW member Action on Armed Violence (AOAV) this week released a new report looking in detail at the impact of three types of explosive weapons with wide-area effects, gathering further evidence to demonstrate the devastating impact for civilians when such weapons are used in populated areas – and showing why states must urgently address this issue. Explosive weapons with wide area effects create blast and fragmentation over a large area on the ground. Where the weapons affect a wide area it is difficult to limit the harm that they will cause if used in areas where civilians are concentrated. Explosive weapons that affect a wide area on the ground therefore create an excessive risk to civilians if used in populated areas. 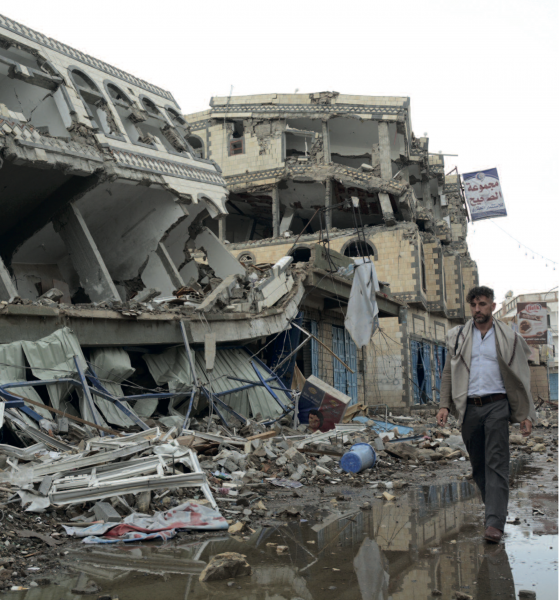 AOAV’s report looks at the impact of air-dropped bombs in Yemen, mortar attacks on the Syrian-Jordanian border and multiple-rocket attacks in Ukraine. It uses case studies to explore how the technical characteristics that give a weapon wide-area impacts translate into severe and long-lasting harm on the ground. Three key factors – the quantity of explosives, the number of munitions and the accuracy of the weapon – can work on their own or in combination to create wide area effects. The case studies in the report are chosen to look at each of these. An infographic and video of the guided Mark 80 series in action, with additional eye-witness testimony from AOAV’s researcher. AOAV also produced a map of where 15 recorded strikes landed, along with 15 case studies of each strike laid out in detail. Details of a particular strike and a map of where one salvo of 40 of the Grad rockets landed in Mariupol. INEW is calling on states to develop an international political commitment to begin to address the harm caused by the use of explosive weapons in populated areas. An increasing number of states are calling for action on this problem, and Austria has commenced a process towards a commitment on this issue.